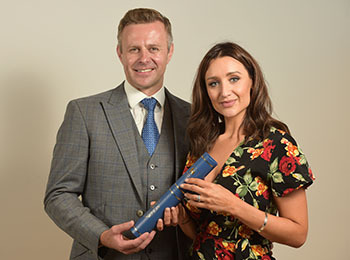 The two soaps stars, both Royal Birmingham Conservatoire graduates, were awarded Honorary Fellowships from the music and acting college, while alumnus Corey Campbell was given an Honorary Membership at the ceremony on Friday 29 June. I’m truly honoured to be receiving this fellowship. Something I’ll hold dear always.